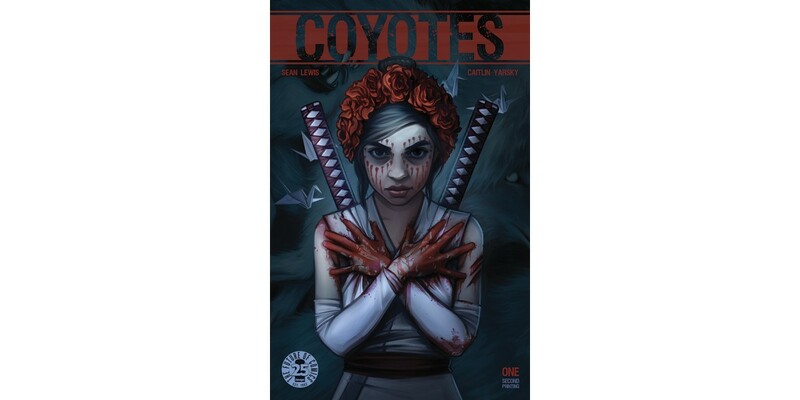 Image Comics is pleased to announce that the first issue of COYOTES, the new dark fantasy series from Sean Lewis (THE FEW, SAINTS) and Caitlin Yarsky, is being rushed back to print to keep up with customer demand. Underworld meets Sicario in COYOTES, a mythological thriller that offers up a tale of disappearances, secrets, and bloodbaths. Women are going missing, and war is brewing in retaliation. Detective Frank Coffey arrives to try and make sense of the carnage—but what he finds is a little girl with a secret and a sword. COYOTES #1 will remain available for purchase across all digital platforms, including the Image Comics website (imagecomics.com), the official Image Comics iOS app, Comixology’s website (comixology.com), iOS, Android, and Google Play. COYOTES #1, 2nd printing (Diamond code: OCT178072) and COYOTES #2 (Diamond code: OCT170665) will be available on Wednesday, December 13th. The final order cutoff deadline for comics retailers is Monday, November 20th.